« Does Your Start-up Need to Grow Up? This entry was posted on February 1, 2010 at 8:55 pm	and is filed under Economics, Environment, Society, Strategy. 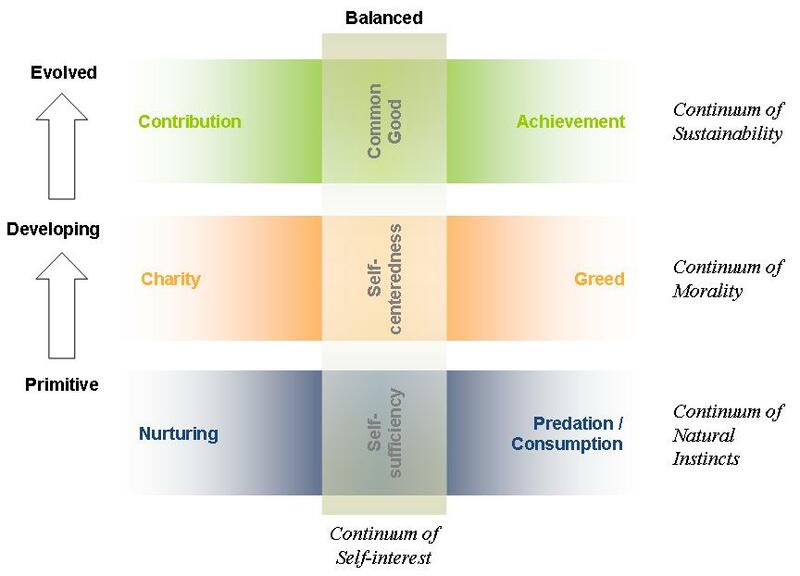 Tagged: Charity, Common Good, Ecological Economics, FAQ, Self-interest. You can follow any responses to this entry through the RSS 2.0 feed. You can leave a response, or trackback from your own site. This is what we would like the powers that be to follow or implement, but at Copenhagen it was clear that there are different priorities and comprehension of what is the “common good”. Currently the western economies are looking for a way to get the emerging economies to bail them out of the financial crisis… at the cost of the environment. Higher commitment means potentially higher costs in the short term, hence lower probability of investment in increasing jobs… It’s unlikely that the the “commoon good’ is so common at present. Davos has created a triple level recovery profile… only the US seems to have a chance, Europe is is going to be the first bastion of protectionist measures… India & China will need to focyus on their domestic markets for sustainability… we’re likely to have better results within a country rather than outside of it as far as sustainable solutions are concrned… look at the character assassination of Pachauri..
Shubhranshu, you make some very valid points. Perhaps the idea of ‘Common Good’ is too large and complex to be addressed by any one forum that focus on only one dimension of the problem? COP15 in Copenhagen focused on climate change while WEF in Davos focused on the global economy. No doubt there will be other global conferences that focus on issues related to society and social development (poverty, hunger, etc.). The point is that the way the world is organized right now, these conferences do not take a holistic view …. you really cannot talk about environment without talking about, say, food and water, and you really cannot talk about food and water without talking about economics. According to me, this is the main reason why these talks ‘fail’ (i.e. result in outcomes that at best are weakly positive, at worst just a waste of time). Then of course there’s the politics – regional, national, racial, economic (haves vs. havenots) etc. and the “What’s in it for me” attitude of delegates (generally speaking). But even without that, solutions will be difficult to find if we take a uni-dimensional approach. Just to reiterate: We don’t claim to have invented this approach from scratch – the 3-dimensional view was already enshrined in earlier definitions of ‘sustainable development’ from many years ago – we just bring this holistic perspective to traditional business management frameworks that deal with ideas like ‘sustainable competitive advantage’. In short, it is not too difficult to arrive at a converged definition of ‘Common Good’ if one take a multi-disciplinary approach and looks at the bigger picture. However, like common sense, it may not be so common! (and in that sense I agree with you). On the ‘half-full’ side – both the COP15 and the WEF this year had the attention of just about anybody anywhere in the world who can make a difference. I think this is unprecedented, and hopefully paves the way for more effective action going forward. Thanks for the compliment! And also thanks for your comment – your point is well taken, and I think your ‘qualifier’ applies unequivocally to all considerations across the board in this regard.